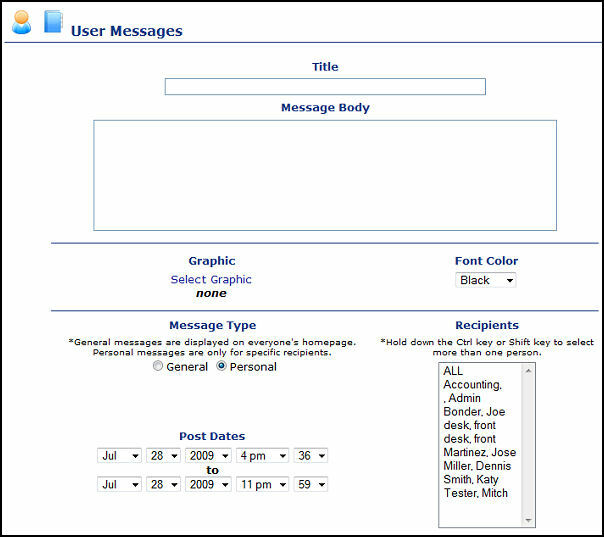 The Internal Messaging System enhancement allows you to create messages that can be viewed by other users. You can choose between sending your message(s) to everyone or just selected users. Want to know if someone actually saw your message? A built-in verifier system also monitors who has viewed your message so you can ensure that your request was received. Bonus functionality includes the use of graphics in your message.